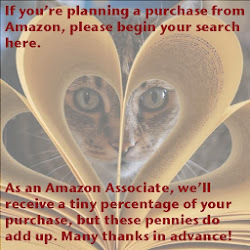 Whether Katie Reus is writing paranormal or romantic suspense novels, you know that you have picked a winner when you choose one of her books. 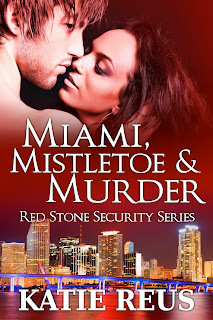 Right now for the holidays, she's re-releasing the fourth book, the novella Miami, Mistletoe & Murder, from her Red Stone Security series. This is a red HOT holiday read that I highly recommend. Tatooed and pierced alpha hero Travis Sanchez caught my interest in the earlier books, so I was really glad to see that he is featured in this novella. In the first few pages of the story I know I was happy to see that he was finally asking his long-time crush, coffee shop owner Noel out on a date. But the twist Reus throws in next really starts the adrenaline ball rolling with Travis stepping up to protect Noel and her "little" sister charge from harm. After that the action is non-stop as they are stalked by someone who seems to have it in both for Travis and for Noel. Is there hope for them? It's Christmas, so hopefully all wishes will come true. If you haven't already read Reus' Red Stone Security series, this is a great way to sample it. If you have already read some, do add this book to your library and check out the other seven books in the series: Red Stone Security Series Box Set: Volume 1 (includes No One to Trust, Danger Next Door, & Fatal Deception), Red Stone Security Series Box Set: Volume 2 (includes Miami, Mistletoe, & Murder, His to Protect, Breaking Her Rules), and Protecting His Witness (book 7). These would make the perfect holiday gift for the romantic suspense fan on your Christmas list. 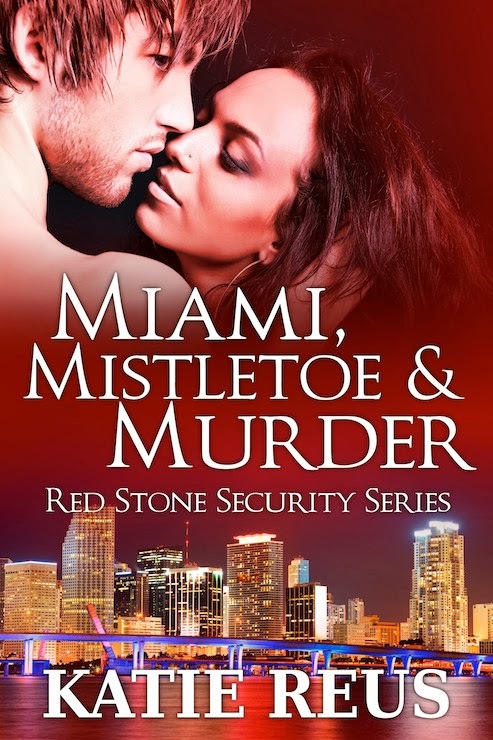 Author Note: Miami, Mistletoe & Murder is the fourth story in the Red Stone Security series but can be read as a stand-alone. If you'd like to have the entire series, see the links below.